Free Premium Package No online booking fee for drivers, you keep 100% of all fares. Your pricing rates to include meter and vehicle uplifts. 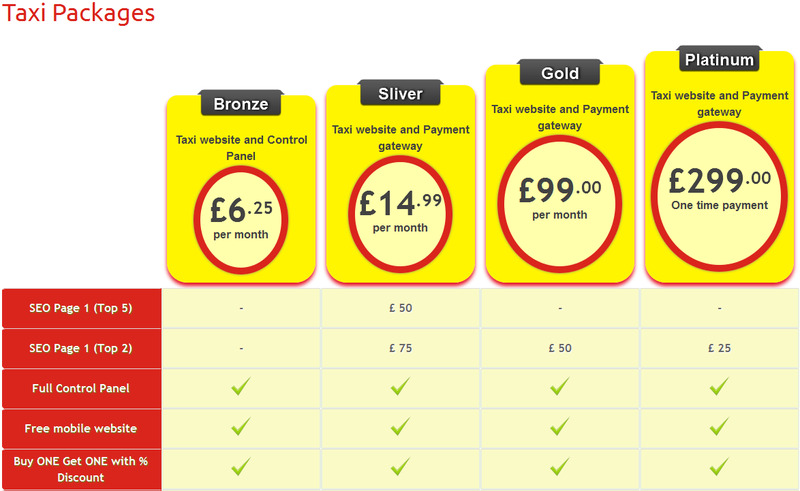 Postcode to postcode instant pricing for your customers. 24 hour online booking system and no call diversion fees. Your own dedicated Account Manager and 24 hour support line. To enable us to meet your requirements efficiently we require at least 24 hours notice. However if the booking is of an immediate nature, we will try to accommodate but cannot guarantee the booking depending on availability. The Company does not accept liabilities for any delays caused by rerouted journeys beyond our control, i.e. accidents, diversions or weather. The Company accepts no responsibility for any loss or damage to any property or luggage carried in the car however such loss or damage is caused. Any damage caused to the interior/exterior of any of our vehicles by the client will be charged accordingly. We reserve the right to refuse any passenger our services due to the passenger having excess luggage which would result in the vehicle being unsafe for the road. Passengers are responsible to load and unload their belongings and we will not accept liability for loss or damage to the luggage. Our drivers are very helpful and are able to assist if the luggage is heavy. If you have a problem or complaint it is essential that you inform the driver immediately, if you wish to make a formal complaint, please notify our office in writing no later than 5 working days after your planned journey. Smoking is against the law in the UK and is not permitted in the car. No alcohol will be permitted "inside" the vehicle at any time under any circumstances. Should the vehicle require valeting due to negligence or alcohol illness a charge will be made of £90.00 for Private Hire vehicles to cover cost of cleaning and subsequent loss of earnings. The company reserve the right to decline any bookings and to request any passenger to leave the vehicle if it deems his/her conduct to be incompatible to the safety of the driver. We strictly require a mobile number for the passenger we pick-up, as this is our way of establishing contact with the passenger. We strongly recommend that passengers contact the office immediately after landing, so we can confirm the dispatch of your booked car. Where the pick-up is not paid in advance we do not dispatch the car until such a contact is established. We are 20-30 minutes away from London Heathrow Airport & 45-60 minutes from Luton, Gatwick & Stansted Airports. Please be aware that the legal status of all our private hire drivers is self-employed and they are not employees of Click-4-Cab. However, it is illegal for the drivers to take a booking directly from the customers. 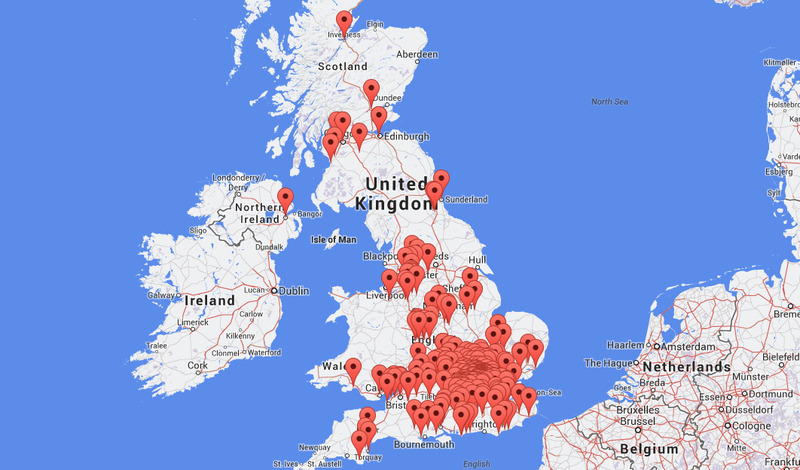 Customers should book their journeys via our website or our telephone number. Otherwise the journeys are not insured. Without prior notice: The Company reserves the right to amend, change, delete or add to these terms and conditions whenever necessary. 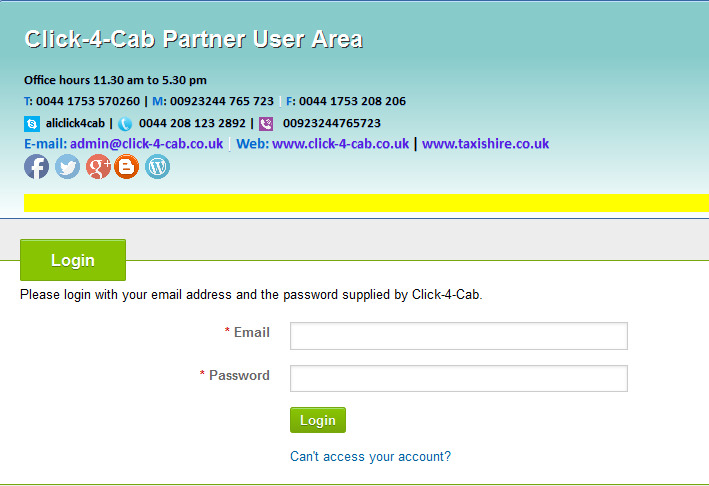 Click4cab Ltd do not store or collect credit card details nor do we share customer details with any 3rd parties. Please read the terms and conditions for operating a Click-4-Cab website. This is a monthly, pay in advance agreement. You agree to a monthly rolling contract and authorize Click-4-Cab Ltd to charge in advance every month until the service is cancelled by either Click-4-Cab Ltd or by you. You are able to terminate the agreement at any time subject to the terms below.